I like small theatre festivals in small places, precisely because they seem to represent everything that theatre is - a struggle against something impossible; an attempt at engagement in an impossible situation. Smederevo is a historically significant town - once a key strategic location of the various conflicts between the Ottoman Empire and Hungarian/Serbian/Austrian interests in Europe. Today, it's perhaps most known for its now-dormant aluminium plant which smelted raw metals sourced from Bosnia - now the source of various conspiracy theories after it was purchased by a US conglomerate in 2003, only to be sold back to the Serbian government for $1 in 2013 and all but closed down. Was it a strategic salvage operation for steel left over from the Bosnian War, as some locals whisper? Today it is certainly operating at reduced capacity, as the government searches, apparently without much enthusiasm, for a partner to run it. Regardless, Smederevo does have many conventional signs of a once-thriving Eastern European town, now swimming persistently against a tide of rampant and unregulated investment which characterises an aspiring EU member (but seems, for reasons of proximity and regulatory environment, particularly characteristic of Serbia). Amongst this, Patos operates its youth theatre activities from the sanctity of the ground level of the town's grandiose cultural centre - a 300-seat emblem of the soviet era, once holding performances equal to its vast size, and now maintained seemingly as a matter of town pride. A town like this is the perfect place for locating the zeitgeist of Europe today - caught between an optimisn based on unquestioning embrace of capitalism, and patches of something resembling a genuine community spirit. This is not a matter of pride or lack thereof, it is absolutely context. As young people grapple with the problems of unemployment, high rents, corruption, and general lack of stuff to do, the town experiences a slow bleed of its talent, its life and its energy, with those left behind looking whistfully at what their life might have been. So the first thing to say about Patos OFF11 Festival is that, almost regardless of what it creates, it's kind of already winning. 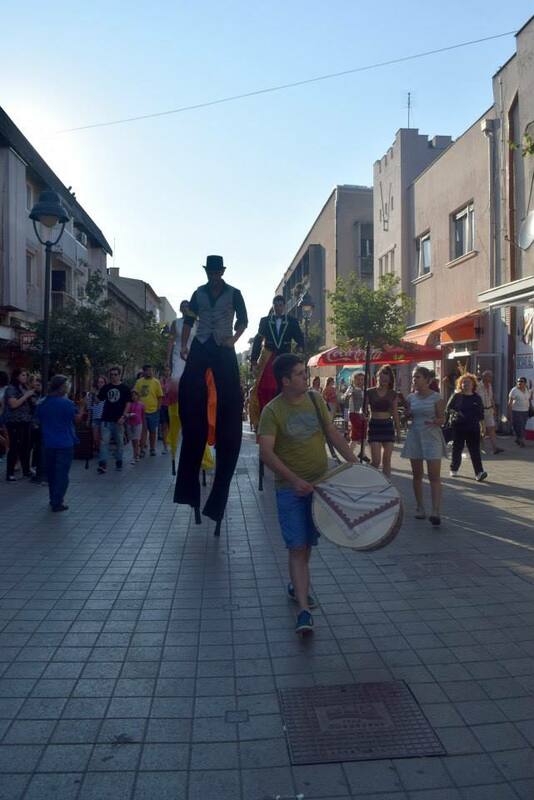 But the sheer level of participation from locals and in particular the local youth of Smederevo is clear testamount to this festival's achievement both locally and on an international scale. That it all seems to have been done on a shoestring is once again no accident, and absolutely testment to a a few hard working individuals and a menagerie of volunteers. Again, this is how theatre functions. Not from grants, not from politics - absolutely from the energy of people. The five days I spent at Smederovo were doubtless magical, filled with relentless work, foyer conversations, and general glee. Settling into the routine of 10am starts, during which me and the group of critics called THINC defined our common ground and our differences. I was particularly blessed with my participants, coming from Novi Sad, Belgrade, and Smederevo, who fought hard in the right way and for all the right things. As with any great dialogue, it was constant, exhausting, and relentless. The criticism we created will pale into significance in comparison to the fights we had. Just a single review was produced by me - the Teatar Rubikon's Pulse, below - but happily there exists a willing team of critical voices to pick up the slack undoubtably caused by pure exhaustion. Congratulations to the participants, volunteers, and organisers that made this wonderful event happen. A theatre director, critic ,and writer.